Tobacco smoking is among the most significant predictors of cardiovascular disease and lung cancer in People Living with HIV (PLHIV). Smoking rates in this population are high, necessitating more effective smoking cessation strategies. 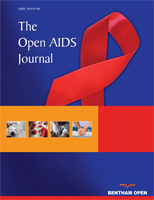 We conducted a descriptive analysis of tobacco-related clinical and sociodemographic characteristics of smokers at a tertiary care HIV clinic in Montreal and an exploratory analysis of smoking cessation methods in order to identify potential areas of improvement in the clinic’s approach to smoking cessation. A convenience sample of patients completed a 10-minute questionnaire on tobacco-related behaviours and outcomes. Use of smoking cessation methods was compared using McNemar’s exact test with a Bonferroni correction for multiple testing (p<0.01 considered significant). Seventy-two PLHIV participated. Two-thirds of our total participants were interested in quitting within six months, but the use of effective cessation strategies was low, particularly for counseling and oral therapy. Overall, oral therapy (e.g. varenicline) (16.7%) and counseling for cessation (5.6%) were used less than nicotine patches (50.0%) or ‘other’ methods (50.0%), which included abstinence and nicotine gum (p<0.001). Despite a small and potentially unrepresentative sample of HIV positive tobacco smokers at our clinic, this study could help guide further research aiming to determine and address barriers to smoking cessation and access to effective smoking cessation aids in PLHIV. Future studies might consider factors that affect motivation to quit, such as co-morbid mental health and substance use disorders, or the attitudes of HIV healthcare providers. Keywords: Tobacco smoking, Tobacco cessation, HIV, Smoking cessation, Co-morbidity, Clinical improvement, PLHIV. © 2019 Linthwaite et al.